Should You Buy the Premium Domain Name of Your Niche? Buying the premium domain name in your niche can move your business to another level. Recently the domain name RunningShoes dot com was bought for USD 700.000 by a running shoe e-shop. Why did they pay this incredibly high amount for a domain name? Based on the buyer Chad Weinman from Cat5 Commerce’s conclusions, this is what goes into buying the strongest keyword domain name in any niche. RunningShoes dot com is THE one and only premium keyword domain name for them and their competitors. Not Running-Shoes dot com or RunningShoes dot net. A very memorable way to promote their business, and a high volume of direct URL searches are two obvious advantages. This is important. They rank no. 1 in Google for Running Shoes. The former owner has been selling running shoes for 10 years, get tons of inbound links (4.500 mostly high quality links) and is a well known site. There will be clients already, who in the past have purchased their running shoes from the former site. This turnover will in the future end up in Cat5’s pockets. These three main points will get them new clients from day one. I have no idea how many running shoes they have to sell to get back their investment, but surely their analysis concluded that USD 700.000 would get back their investment inside a specific period. Are you ready to move your business to another level and get the RunningShoes dot com of your business? If your website already converts as it should, and the premium keyword domain fulfill point 2. and 3., then you should look at the numbers to buy the premium domain name in your niche. Getting back your investment inside 2-5 years will make you able to calculate the maximum price you are willing to pay. This price can of course be way higher than the current owner´s expectations, so go ahead and analyze those numbers! So if you sell ferry tickets on the web, then consider what ferrytickets dot com would bring you in extra revenue over the next years. If you only sell ferry tickets in the UK, then consider ferrytickets dot co dot uk instead. The Internet will not go away, and domains will be the flashing store sign for many years to come, so this long term investment can be your best business idea ever. 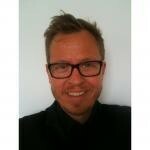 Christopher Hofman Laursen is the director of European Domain Centre http://www.europeandomaincentre.com. Here you can check domain name availability for +300 domain extensions. Next Post: What’s in a New gTLD?